Can you even believe that it’s February?? Guess what…I just took my Christmas tree down this past weekend. On days when I’m super busy I love to create Easy Crockpot Dinner Recipes, this makes life so much easier and much more relaxing. This Crockpot Italian Stuffed Chicken recipe is so deelish, you and your family are going to LOVE! I got sick over the holidays with the flu and we were unable to get together with all of our kids and grandkids, so we postponed and we will be having a Spring Fling instead! YAY! I’ve got to tell you that this recipe was so yummy, according to my family, that I may even serve it at our Spring Fling! This will be a new slow cooker favorite! This recipe was SO EASY and is now on the top of my monthly meal plan rotation! With my girls coming into basketball playoffs and me working part time and all the business that comes with life, this is nutritious, delicious, packed with protein and bursting with flavor and took little time to make in the morning, before I went out the door. 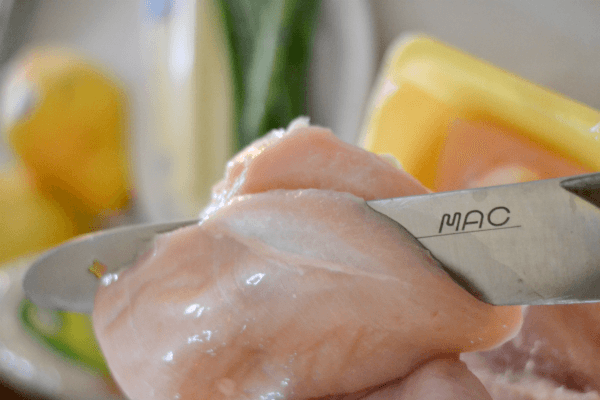 If you have an active lifestyle this is a quick fixing meal solution you are looking for…when it comes to easy and tasty…umm that’s what it’s all about right!? Don’t cut all the way through. Just enough so that you can stuff a stick of mozzarella cheese and 2 Asparagus. Spray crockpot with cooking spray or use a crockpot liner (easy cleanup). 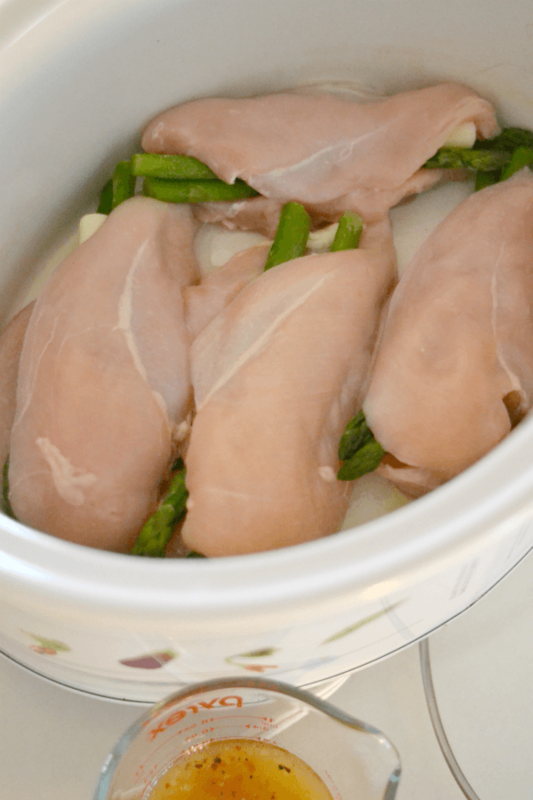 Lay chicken in bottom of crockpot. Mix together Wish-Bone Italian Dressing, cream of chicken and milk. 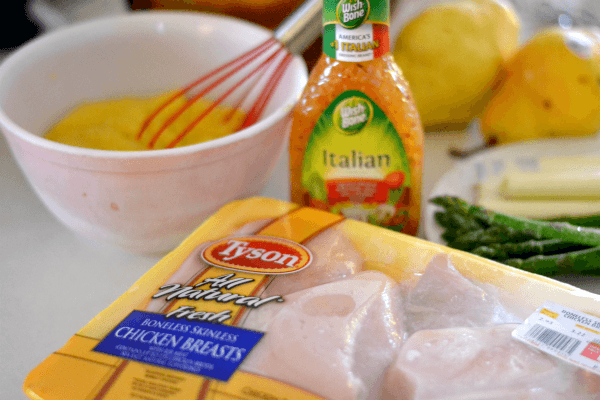 Wish-Bone Italian Dressing has tons of yummy herbs and seasonings for a great ZIP! (Gluten Free and No high fructose corn syrup either!) You can add more or less to your families liking. When you are about ready to serve, line a 9 x 13 pan with TortillaLand Flour Tortillas. Preheat oven to 400. Put the lined baking pan in the oven and bake Tortillas until edges are golden brown. Keep a close watch on them so you don’t burn….about 5 – 10 min. depending on your oven. I LOVE these, as they are uncooked and whatever is left over can be simply frozen and used at another time. Great for meal planning too, because you plan ahead and they freeze super well. 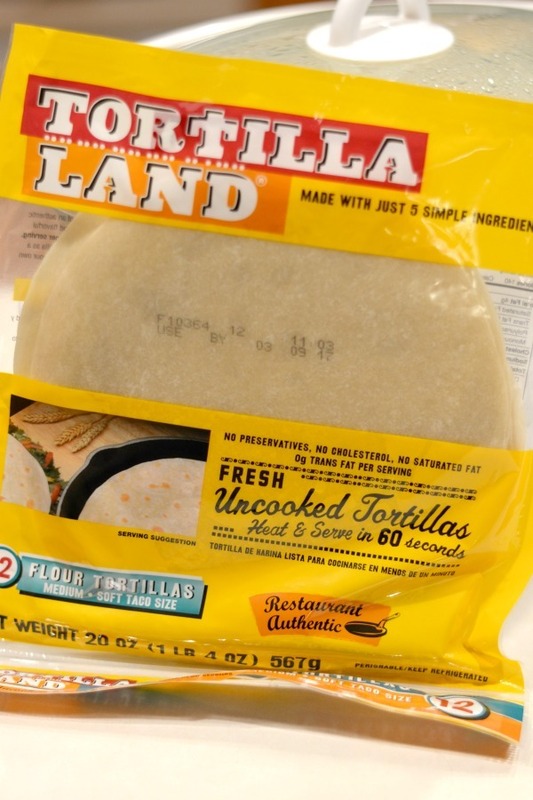 By the way, these TortillaLand Uncooked Flour Tortillas are found in the refrigerated cheese and deli meat section of your local Walmart. This is where I also bought my Tyson Fresh Boneless Skinless Chicken Breasts and Wish-Bone Italian Dressing. My family loves the crunch of the tortillas that we used to make a crispy base to serve our chicken in! 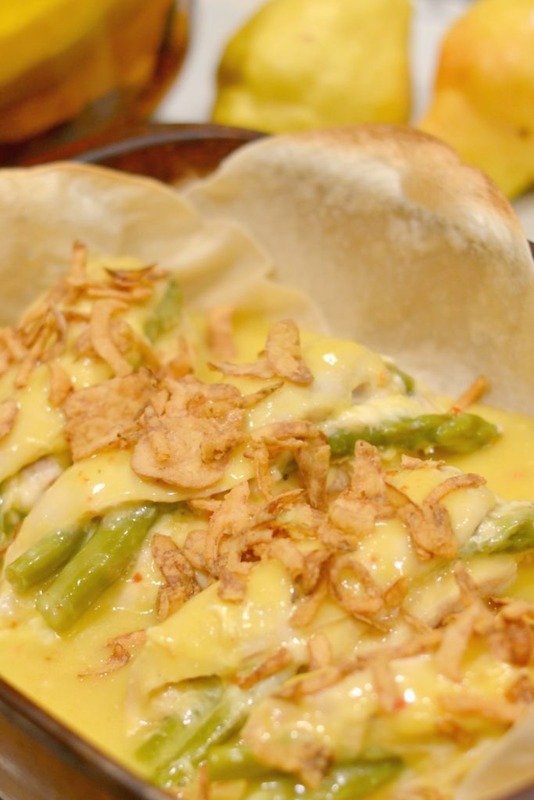 If you or someone in your family doesn’t like asparagus…you can totally leave it out! 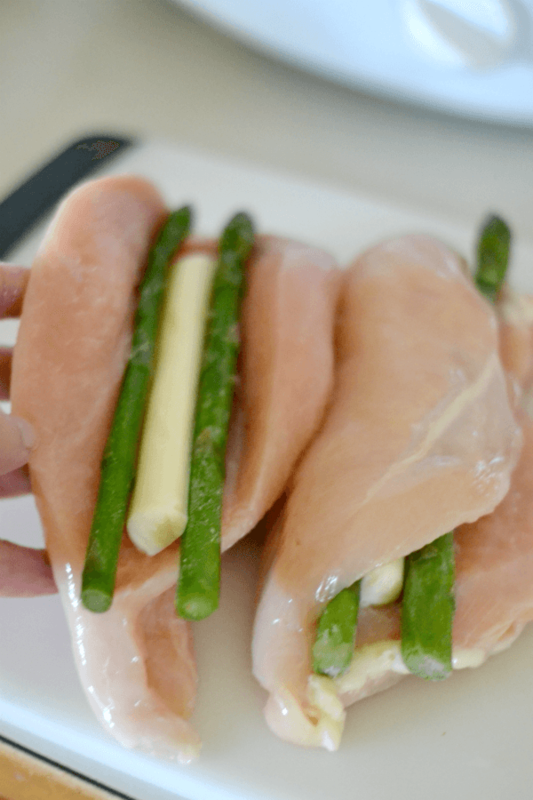 The rest…pretty guaranteed to love this Creamy Crockpot Italian Stuffed Chicken! A super easy and quick to fix slow cooker recipe that your whole family will LOVE! With a tangy creamy Italian sauce it's deelish! Serve over buttered noodles and you have a simple meal packed with nutrition and oh so tasty! Mix together Wish-Bone Italian Dressing, cream of chicken and milk. You can add more or less to your families liking.